Original decal of a interesting and creative concentric star. 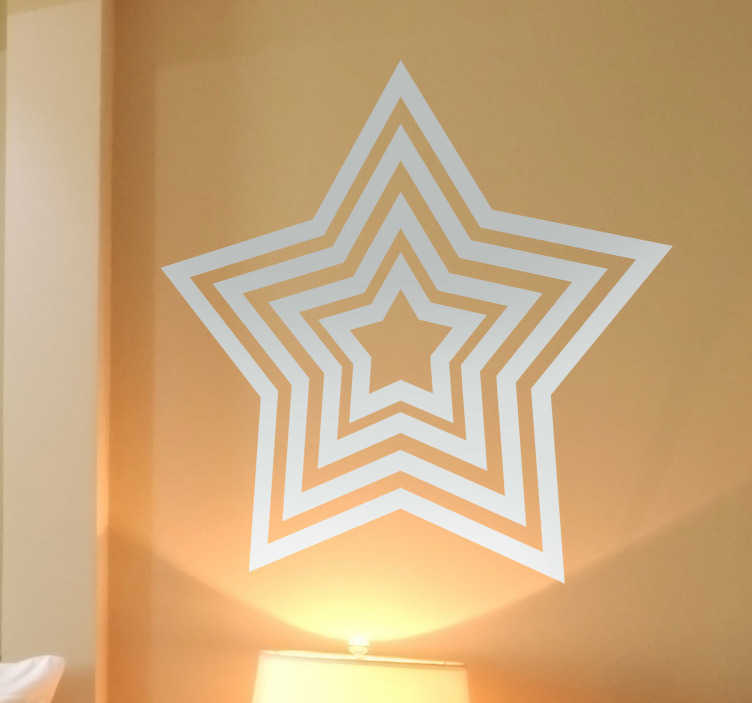 A monochrome design from our collection of star wall stickers. A star that will keep your guests hypnotised This sticker would be good for your child´s room, an original sticker that will transform their rooms into something special. Choose the size that best fits the surface where you will place this decal. This high quality sticker is easy to apply and remove made with anti-bubble vinyl and leaves no residue when removed.